It’s that time of year again. Fall TV show premiere time. Where we get to look at all the listings for all the new shows coming across your screen in our Fall 2013 Preview. Naturally, your entertainment metadata experts and TV listing friends at FYI wouldn’t leave you without a trusty guide to the new season, would we? Of course not. Let’s get started, alphabetically. Here’s a network not afraid to try something new—or a network with nothing to lose—depending on how you look at their EIGHT new program offerings this fall. The new stuff includes Back in the Game, about a divorced mom with an athletically challenged kid who starts her own softball team. It might sound a little sappy, but this program starring Maggie Lawson and James Caan is getting decent reviews. Plus, Marvel's Agents Of S.H.I.E.L.D., which takes advantage of Marvel's continuing entertainment success. 8:00-9:00 Marvel’s Agents of S.H.I.E.L.D. Even though CBS is normally the model of stability, there are a few new things under the eye this fall. 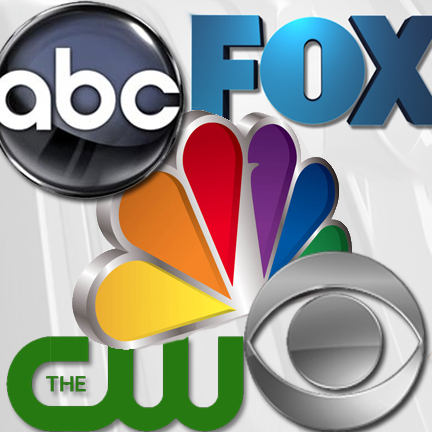 First, there are five new programs, but not a lot of tumult in the CBS lineup. The new programs affect only three nights of the week (the other networks are tinkering everywhere) and feature new comedies to be bolstered by CBS’s strong Big Bang and Two and a Half Men franchises. New comedy additions include We Are Men (Tony Shalhoub and an ensemble are a “band of brothers” unlucky in love), Mom (Anna Faris as a waitress trying to make it on her own—Allison Janney as her wheels-off mother), The Millers (Will Arnett as a divorced reporter whose parents’ divorce then mom moves in), and The Crazy Ones (Robin Williams as an unbalanced ad exec and Sarah Michelle Gellar as his responsible daughter). For drama fans, there’s Hostages—starring Toni Collete as a surgeon whose family is kidnapped and she is blackmailed into killing the president when she operates on him. Which dovetails into something new for CBS coming midseason—a split time slot program. Fans of Josh Holloway from lost will get to see Intelligence, as Holloway plays an intelligence operative totally connected to the web and grid. Intelligence will alternate weeks with Hostages. Also a first—when Person of Interest relocates to Tuesday nights? CBS will have a night featuring the three most watched dramas on TV. NCIS, NCIS: LA, and Person of Interest. That hasn’t happened at CBS in 32 years. Paranormal. There sure are a lot of shows about the paranormal on The CW. But with only 10 hours of prime time programming to work with, perhaps something supernatural can happen with the new entries into their lineup. Only three new shows, but a lot of moving around the schedule at The CW. The Originals (spin-off of Vampire Diaries), The Tomorrow People (remake of British 70’s series involving human evolution into superhero-like powers), and Reign (the story of Mary Queen Of Scots in a historical treatment of the historical figure) all premiere with plenty of support from similar programming—just not necessarily on the same night. Nikita fans bid her mission a fond farewell as that series will end with a six-episode arc. At Fox, they’re not standing pat with American Idol and a lot of great animation. They’re introducing eleven new shows this fall. First, the biggie. Is it a new show? Not really. But it is new to US? You bet. Kiefer Sutherland and 24 will be returning as Jack Bauer dares the world to watch 12 new episodes in 24: Live Another Day. But it doesn’t stop there. Fox is also offering up new live-action comedies, four dramas, an event series, and yes, some reality. Dads (Seth MacFarlane produces Seth Green & Giovanni Ribisi as gamers with meddling fathers), Brooklyn Nine-Nine (Andy Samberg as the kooky cop, Andre Braugher as the no-nonsense partner), Enlisted (three neer-do-wells grow up on a Florida Army base), Surviving Jack (based on the Justin Halpern book and starring Christopher Meloni), Us & Them (remake of British program featuring a young couple and the crazy people they know), Murder Police (animated with voices from Will Sasso and Jane Lynch), Wayward Pines (Matt Dillon in a 10-episode drama about a Secret Service agent searching for two missing agents in a small town), Sleepy Hollow (Ichabod Crane tries to save the world 250 years after his death—seriously), Almost Human (J.J. Abrams’ company offering with Karl Urban and Lili Taylor), and Junior Masterchef (cooking competition for kids—no word on if Gordon Ramsay is attached) will all roll out for Fox this fall. The peacock is all about leveraging their anchor Sunday night sports along with some new offerings to rebuild the “Must See TV” cachet of the network. And, NBC hasn’t been afraid to make some moves. New this fall are The Michael J. Fox Show (about a news anchor who goes back to work after suffering from Parkinson’s disease), Dracula (the heart-throbby Jonathan Rhys Meyers plays the vampire in London looking for love), Welcome to the Family (ubiquitous regular guy Mike O’Malley who can’t get along with his daughter’s boyfriend’s upper-crust relatives), The Blacklist (James Spader as a master arch-criminal who volunteers to help the FBI), Sean Saves the World (Will & Grace favorite Sean Hayes as a single dad trying to balance career with family), and Ironside (Blair Underwood re-imagining of the 70’s Raymond Burr detective series) round out the new NBC offerings for fall. And, although it’s not a new show—keep in mind that NBC has both Sunday Night NFL football AND the 2014 Winter Olympics. Both are likely to be key players in NBC’s programming strategy as the year progresses.